I always get excited when I walk around the UCL campus, away from the hordes and surrounded by what I imagine to be the studious silence of its streets and buildings. Walking into the Bloomsbury Theater UCL allows me to feel the same way with all the posters of past and future events on the walls. 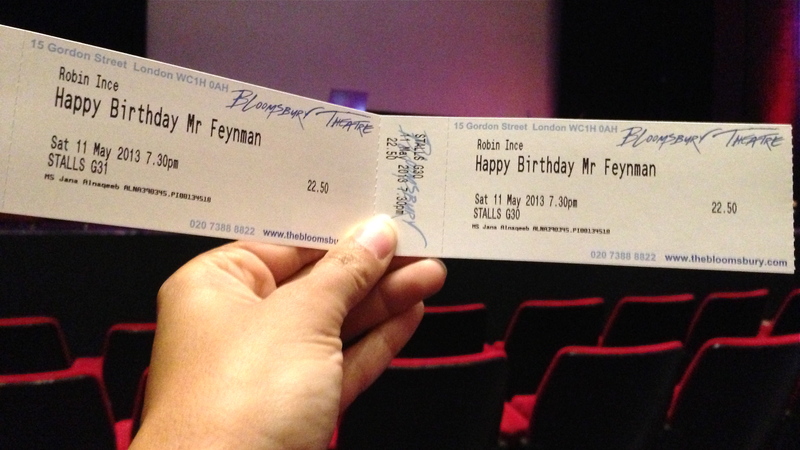 Well, I am here for part one of the Richard Feynman commemoration. 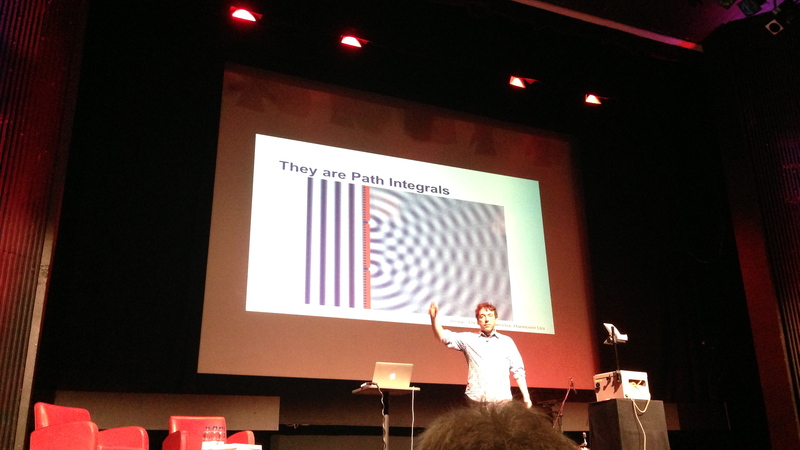 The first event was divided into two segments, with the first consisting of a lecture given by John Butterworth, a physicist at the UCL, as he explained Feynman’s diagram and its impact on the Large Hydron Collider (LHC) in CERN, where Butterworth spends much of his time analyzing what can be some breakthrough findings. I can’t remember the last time I saw an overhead projector, but to ask me now I would say two days ago while a physicist was breaking down the essence of propator in a Feynman diagram. The science was followed by more of an intimate perspective on Feynman by way of discussion (interspersed by classic videos of Feynman) between the organizer of the event Robin Ince, a comedian and a lovely host, and the wonderful Christopher Sykes. Sykes met Feynman by chance as he was sent by the BBC to film a documentary on another member of the faculty at Cal Tech, and that chance was when the original target actually recommended that Feynman was the man he needed to see. He went on to carry out these famous sitdowns with Feynman, and was responsible for “The Pleasure of Finding Things Out” and “Fun to Imagine.” He provided the insight and shared really personal anecdotes about how Feynman didn’t want to do the films at first, his final moments on before his death, and many other stories about their time together as they ended up being quite good friends. 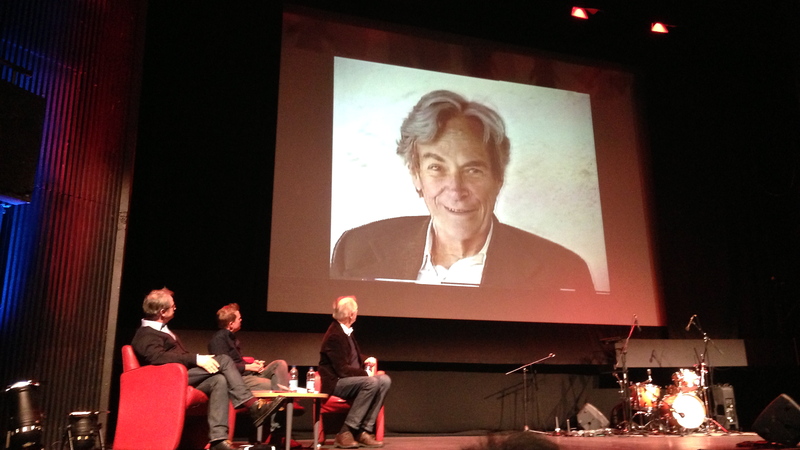 I was very jealous to hear all the stories and it reinforced my wish to have had the chance to meet Feynman as well. At the end of the second part of the first segment, we watched few clips of the new documentary about Feynman directed by Chris Riley called “The Fantastic Mr. Feynman” The full movie was screened the day after but unfortunately I had to come back home and didn’t get to see it. Once its on the internet I will definitely post it on this blog. The evening segment of the program was all entertainment. Dr. Neutron and his sidekick were there, performing with hoola hoops and explaining the constructs of elements like hydrogen and oxygen and their molecular attractions using the hoops. 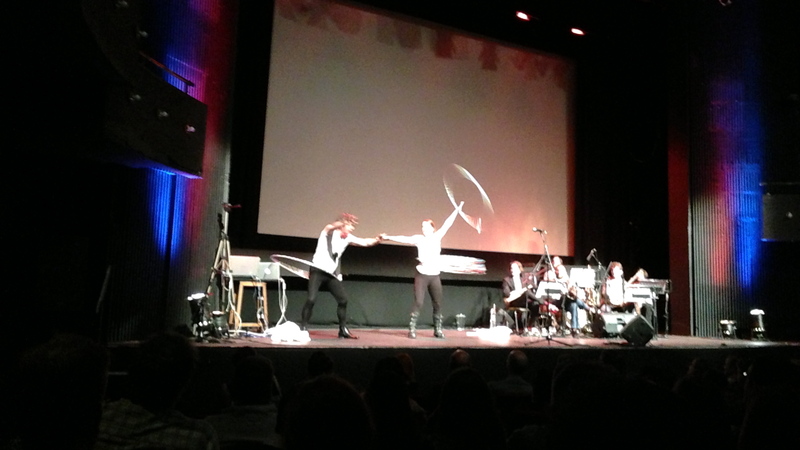 There were physicists doing standup, yes science standup, sharing their love for Feynman and presenting their own comedic insight on the Theory of Least Action. Grace Petrie performed a very touching and moving song, using the words of Feynman himself, from a love letter he wrote for his first wife Arlene after her death from tuberculosis years earlier. Marcus Chown, the author behind ” We Need to Talk About Kelvin” relayed stories of what he directly learned from Richard Feynman, as he was enrolled in his classes at Cal Tech. Even Feynman’s famous Lock Picking course. 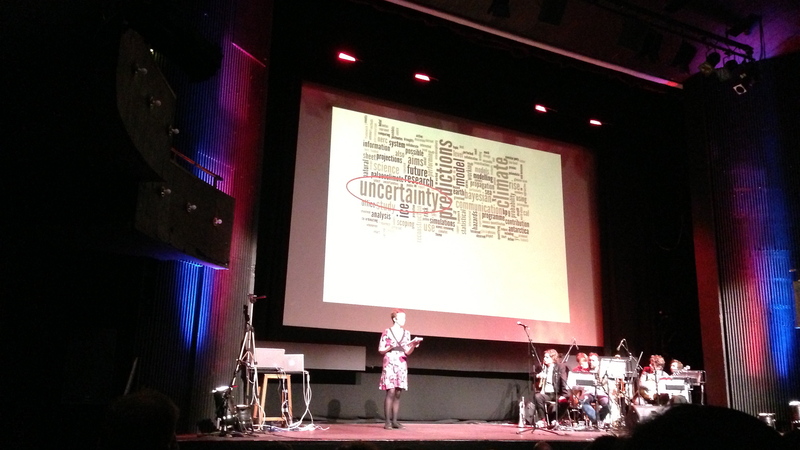 Tamsin Edwards presented her life’s work following in the footsteps of Feynman from being an artist, to becoming a physicist, to going to Brazil and playing with the local samba schools. 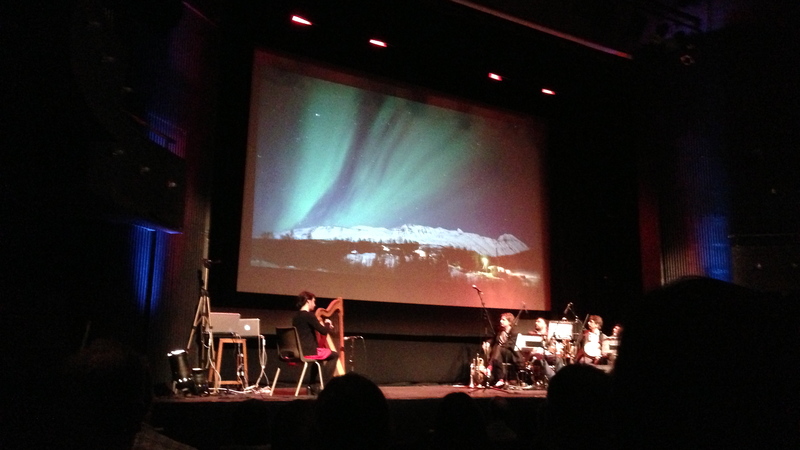 There was a segment of images of the Aurora Borealis accompanied by a harp player, and that served as an homage to both Richard Feynman and his sister Joan, who is a pioneer in her own right when it comes to the Northern Lights. The show went on and on, and from the audience to the presenters on stage, there was one constant, and that was that we were all here today for a special man, who had a special way of thinking, in all its uniqueness, craziness and genius.